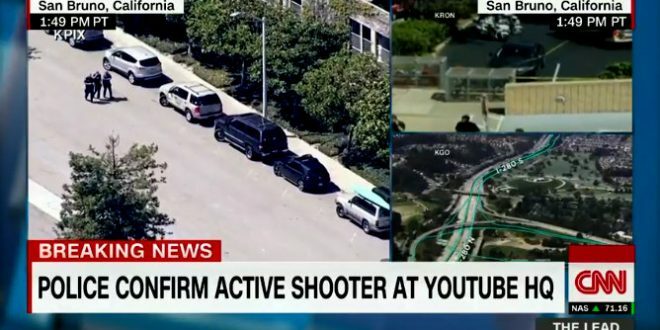 BREAKING: Active Shooter At YouTube Headquarters - Joe.My.God. There is an active shooter situation at YouTube in San Bruno. The San Mateo County Sheriff is assisting San Bruno Police with the active shooter situation at 901 Cherry. YouTube employees are reporting on Twitter hearing shots being fired. One YouTube employee reported being barricaded in a room with coworkers. At this point, additional details have not been released.